Temperature sensor with G1/4 thread manufactured by Aqua Computer. 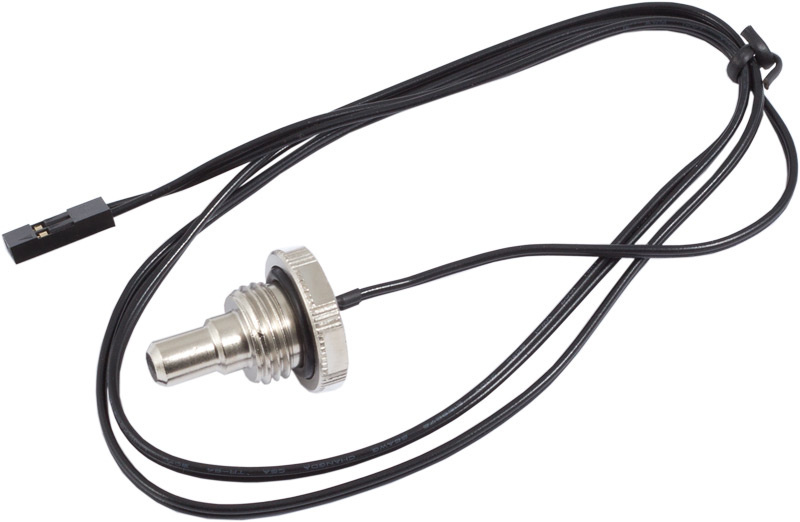 This temperature sensor is equipped with an o-ring and can be mounted in a vacant connection thread of a reservoir for example. Inside the nickel plated metal body, a NTC temperature sensor is cemented with thermally conductive compound. Cable lenght approx. 60 cm, female connector.